Located on the northern tip of Phi Phi Don Island, nestled on a prime stretch of soft white sand, Zeavola is the perfect getaway to relax, recharge and reinvigorate in luxurious surroundings. Attractions within easy reach of Zeavola include the James Bond Island, Maya Beach, Phi Phi Ley Island and Bamboo Island. 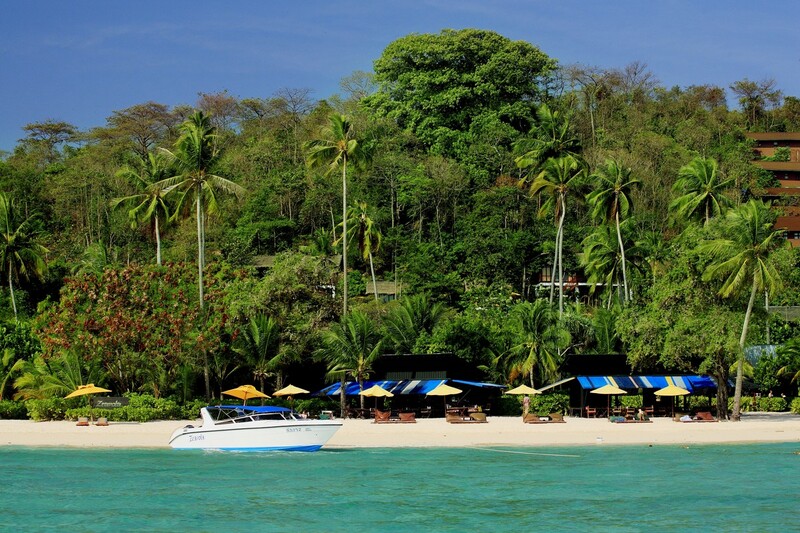 Get there by public ferry from Phuket or Krabi, alternatively the resort offers a speedboat service from Phuket only. Zeavola’s Suite accommodation features the extensive use of hand-hewn teakwood, creating the spacious yet intimate feel of local island houses. Meander barefoot along the white sand pathways to reach your Village Suite wrapped in nature amongst the lush resort gardens. 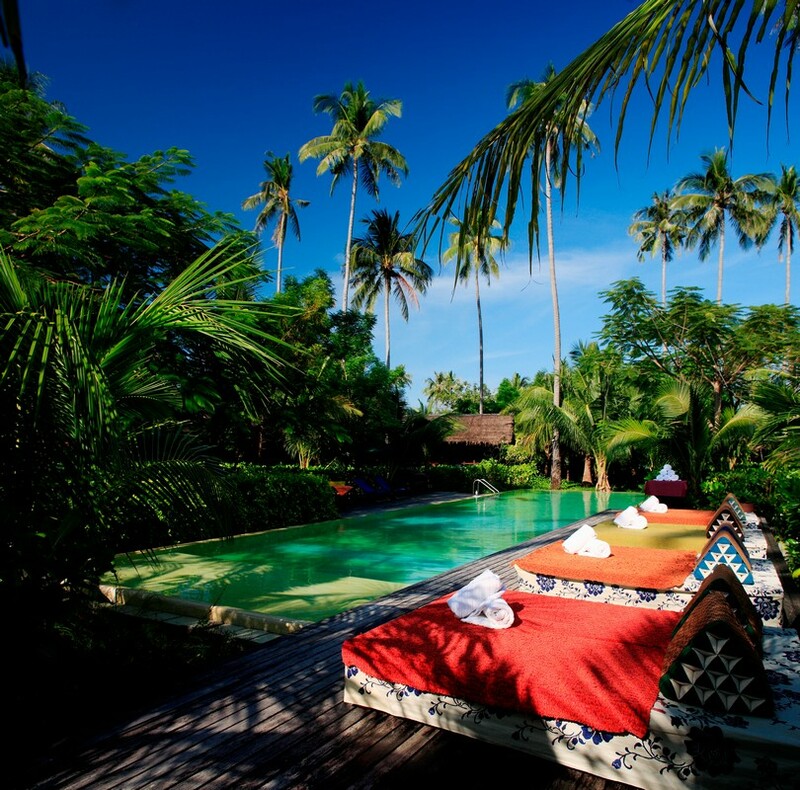 The Villa has a distinctly Thai ambiance reminiscent of a bygone era with modern day luxury touches for extra comfort. Lie back on the double daybed in the exotic outdoor living room or retreat to the air conditioned bedroom for a rejuvenating night's sleep. The Garden Suite is luxurious yet beautifully simple. The inspired architecture features a large outdoor living space to unwind and appreciate the sights and sounds of nature with fresh coffee and refreshments at your fingertips. Roll down the cozy bamboo blinds and enjoy the unique and special ambiance of being outdoors, or retreat to the comforts of the air-conditioned bedroom with a multi-media centre for entertainment. Inside, the king-size bedroom has full length windows for fabulous garden views. Opt for an indoor or outdoor shower depending on your preference. Accommodates up to 3 adults or 2 adults and 1 child. 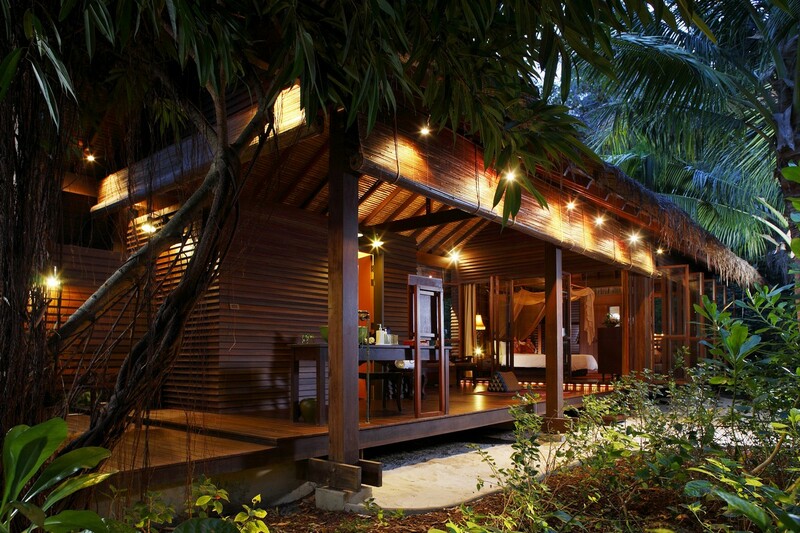 Three of the teakwood villas offer a prime beachfront position tucked away at the edge of the resort. 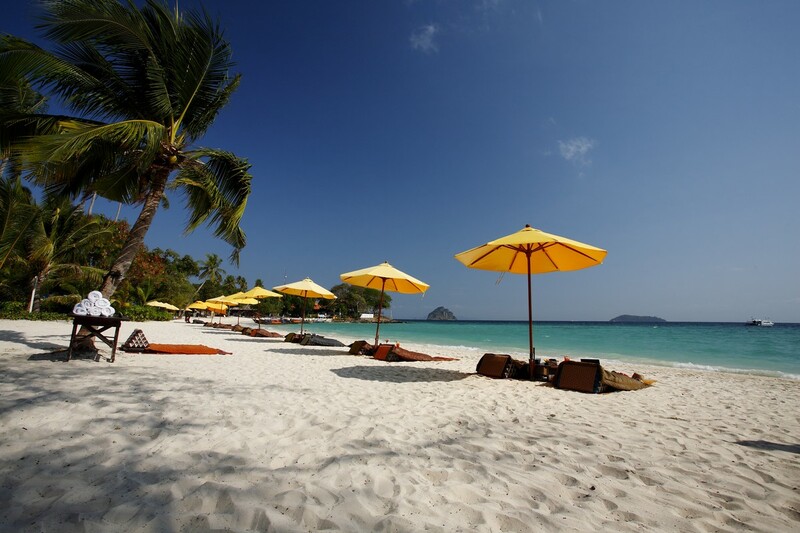 Beach lovers can gaze in delight at the white sand and glistening Andaman Sea in absolute comfort. The charming Suite has an expansive outdoor living area where the sea views are ever present. 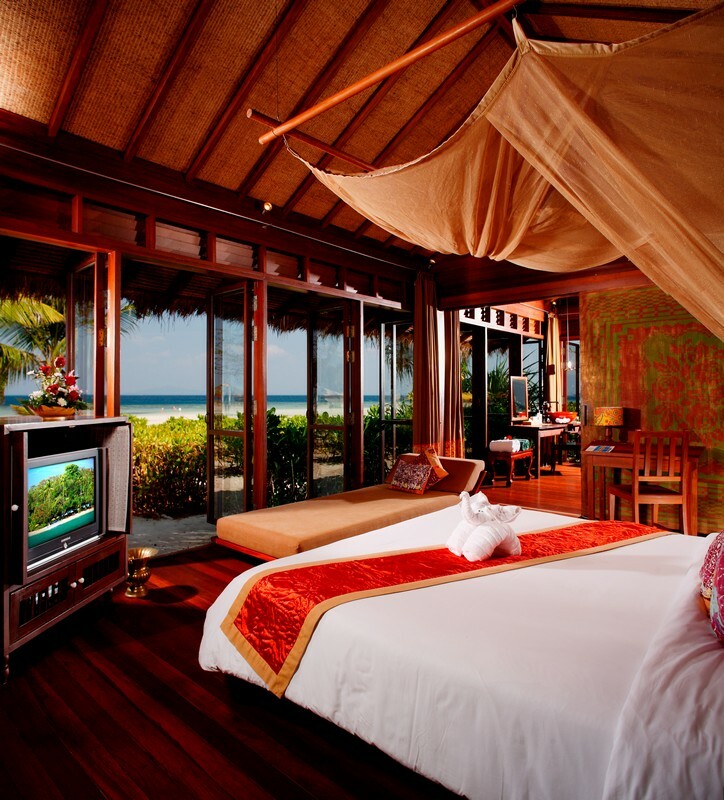 If outdoor living is to your liking, swing open the full length windows of your air-conditioned bedroom and let the sea breeze flow through the whole villa. Accommodates up to 3 adults or 2 adults and 1 child. Nestled upon the forested hillside, the heavenly Pool Villa Suites offer spectacular 180 degree views of the exotic rainforest. The spacious Villas are extremely private and with the split level design provides several options for lounging and relaxing, both indoors and out. Accommodates maximum 2 adults. Set back from the beachfront under the shady tree canopy is Baxil, an authentic Thai restaurant open for breakfast and dinner. Breakfast is a combination of buffet and made to order hot dishes with a unique Zeavola twist. After dark, Baxil offers a homely ambiance serving authentic local cuisine including the fresh seafood. Superb Mediterranean cuisine complemented with a soothing sea breeze, served with your toes in the sand. Tacada is a beautiful beachfront restaurant and bar, offering refreshing drinks served to your beach chair throughout the day, a great selection of light lunches and a dinner menu including the finest imported lamb, steak and seafood dishes. Zeavola Spa is a heavenly hillside sanctuary with tree top views and luxury facilities, offering the finest quality aromatherapy oils, organic local fruits, plants and herbs. Extend your spa experience at the steam room, sauna, spa gym and beauty salon or treat yourself to a combined spa package.